Chances are your newsletters are now being funneled into Gmail’s new Promotions tab with the recent inbox update. This is frustrating for marketers’ sales but for nonprofits trying to spread the message of their cause, this could be disastrous. Here are three ways to try to circumvent Gmail’s new inbox feature. Many newsletters ask this right away. Consider writing a dedicated email for this communication if you do not already ask within your current messages. This action will at least get you into the Updates tab. 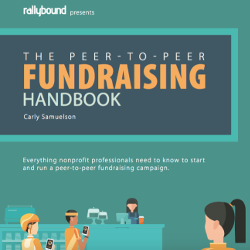 Implementing a peer to peer fundraising strategy leverages your supporters to ask for donations. These messages are usually much more customized and come straight from a personal connection. Thank you Captain Obvious! This is without a doubt the only surefire way to avoid the Promotions tab black hole. Here’s a post from MailChimp with instructions. We will be following up this post with a more in-depth, technical post from our CTO. Please feel free to add questions in the comments below. We’ll continue to publish on this subject as we compile data from our systems.